The present composition relates to a picture from the same year, The Window: Garden in Spring (private collection), which was painted soon after Pasmore had moved from Hammersmith to St German's Place, Blackheath, in the Spring of 1947. 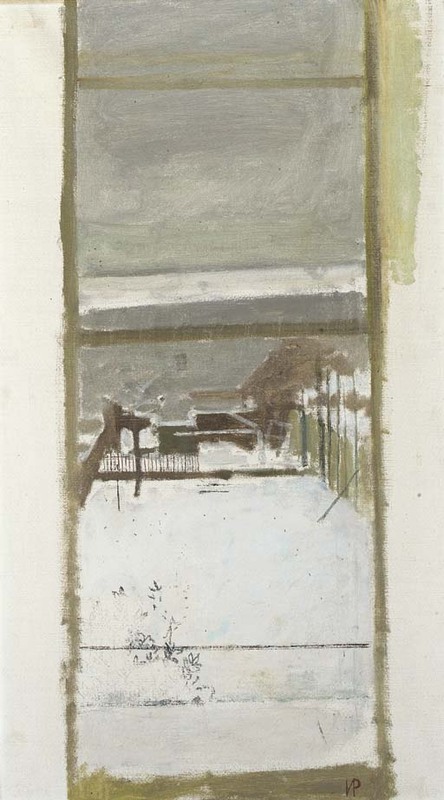 The composition shows his garden at Blackheath looking out of the studio window. Ronald Alley writes in the introduction to the 1965 Tate Gallery retrospective exhibition catalogue, 'experiments reached their extreme development after his move to Blackheath in 1947, when he began to introduce a few shapes which were completely abstract and to subject nature to arbitrary patterning and stylisation ... among his most beautiful and original works they represent a stage beyond which no further development was possible. Pasmore felt that his pictures were becoming neither one thing nor the other, neither figuration nor abstraction; at the same time they were more and more amorphous and increasingly difficult to finish'.